One of the major players when it comes to live music and events when it comes to Medicine Hat has the delicious dark stout on tap. Mike tells us that The Garage (710 Gershaw Drive S.W.) is also a purveyor the dark liquid. This section is for mentioning the other bars and pubs in town that serve Guinness, but only from a can and/or bottle. 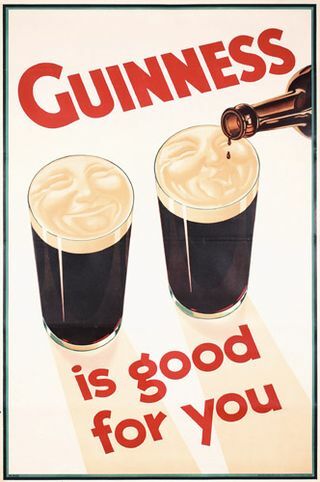 I know we have belabored this to death on Medicine Hat Media, but really, this pub should have Guinness on tap! Otherwise, Dublin’s Pub is near perfect. View the review by Sean and the entry for Dublin’s in the Best Restaurants of 2008 – Top 5 post. This entry was posted on Wednesday, March 17th, 2010 at 11:55 AM and is filed under Restaurants & Hospitality, The Ottoman Lounge. You can follow any responses to this entry through the RSS 2.0 feed. You can leave a response, or trackback from your own site. « Review of J. D. Auto Electronics Ltd. The Ottoman does it on tap, too. Hey Vaughn, the Ottoman Lounge has Guinness on tap. I had some at another establishment you mentioned but it was not poured properly (it had no head and was extra bitter). I won’t mention the establishment because it may have just been my one drink and that would not be fair to them. However, I have had many a Guinness at the Ottoman and they are always fantastic. I will also recommend the Jade Buddha, which is green and appropriate for today. It’s made with actual kiwi and ginger and is fantastic. The Garage also has it on tap. I had a delicious pint of it yesterday topped delicately with a green food coloring clover.